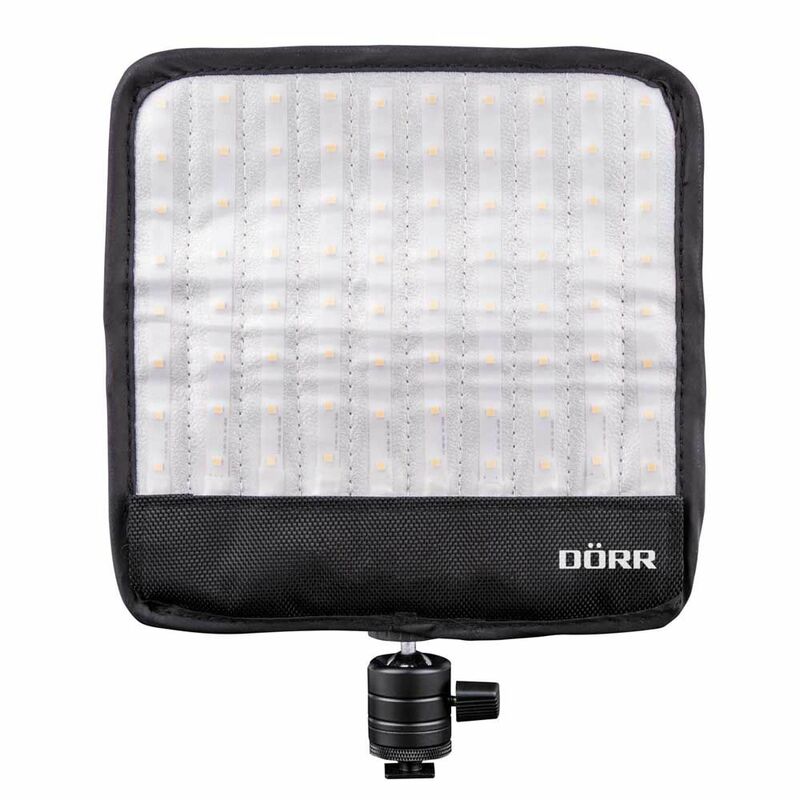 The Dorr LED Flexible Light Panel FX-1520 DL is fitted with the latest LED technology and is fully flexible in their use. Provides a bright illumination even in hard to reach areas or in the smallest spaces. 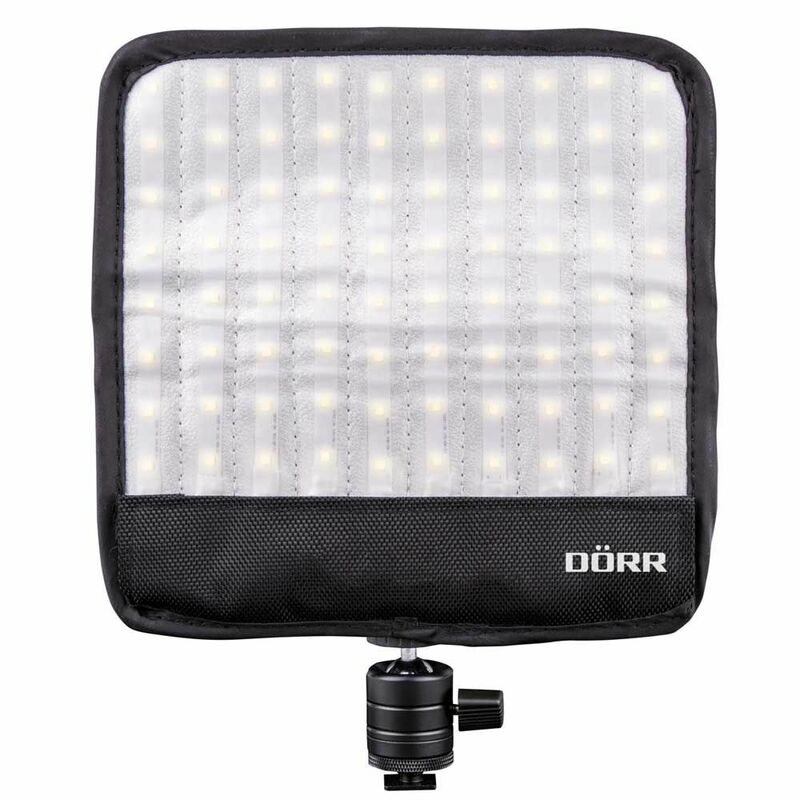 80 white LEDs provide a colour temperature of 5600K (daylight) with a variably adjustable brightness and a power of 16W. With a width of just 10mm, this panel is extremely easy to fold or roll up for easy transportation and they are also ultra-flat for fully flexible use. The supplied ball head with a universal flash shoe & 1/4" tripod socket allows easy attachment to a stand or hot shoe attachment. 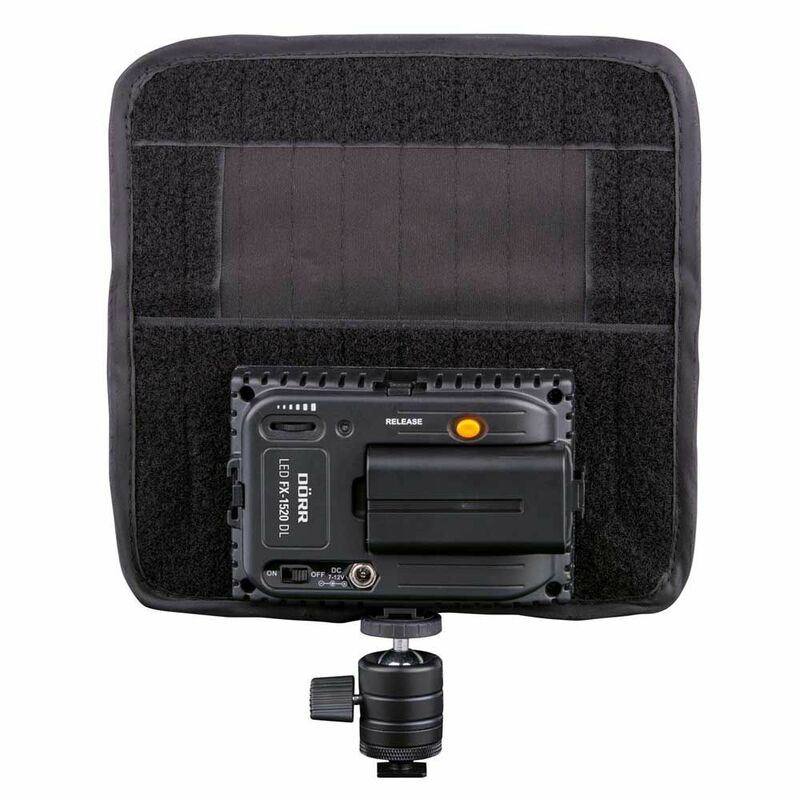 Operation is capable via the NP-F550 Li-Ion battery and this can be charged via the included charger. Supplied with li-ion battery and charger with cable.